What a terrific day! The YMCA held another GIVE Camp and One Bottle One Dream was invited. Campers took the recycling vow and talked about how getting involved can make a positive change in their community. The Campers all received books and that makes 252 campers to date that have vowed to keep Jack’s dream alive! Thank you to Sarah Morris for her continued passion in helping to raise awareness! Thank you to Fox News and Sustany for coming out and showing your support! 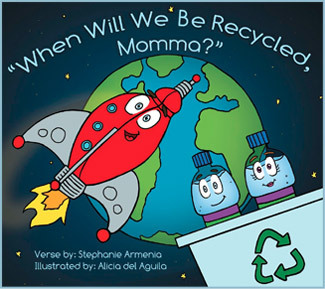 This entry was posted in One Bottle One Dream and tagged camp, fox news Give one bottle one dream, going green, recycling, stephanie Armenia, summer, Sustany, water bottles, When will we be recycled momma, ymca on August 11, 2011 by stephanie. If you would like to support the One Bottle One Dream project please visit our Our Store and let us know what area you would like to see the books put into the schools. Help empower little voices to speak up by pledging to take action and protect their planet. School Bundle Project – Tampa’s Ambassador Students Vow To Save Jack! Carrollwood Day School Takes The One Bottle One Dream Recycling Vow! Inverness Christian Academy Takes the Recycling Vow!